The four main ingredients in beer are water, barley, hops, and yeast. Those four things have allowed for the creation of a plethora of flavors. However, some people wanted different flavors or textures. Other folks had different crops available to them. Both of these things changed what they used in the beer. These changes are what led to the use of adjuncts in beer. Simply put an adjunct is anything other than barley that contributes starch to the beer. More simply? Anything adding sugar that will get fermented by the yeast. The most common are corn, rice, wheat, oat, and rye. To find the dividing line of what is an adjunct we have to go back to 1516 when the Reinheitsgebot defined beer as water, hops, and barley. You can read one of my first posts to learn more about the Reinheitsgebot, but for now all you need to know is it set the precedent for what is, and is not, an adjunct. Let’s take a closer look at the big five. In the world of flavored vodkas, there seems to be an arms race between the different vodka companies to see who can take the craziest, sweetest junk food and turn it into a 70 proof mixer for cocktails. Not that there is anything wrong with the novelty of having a donut, fruit loop, or gummy bear flavored drink but I am surprised there haven’t been more vodkas trying to fill the niche in the other direction. 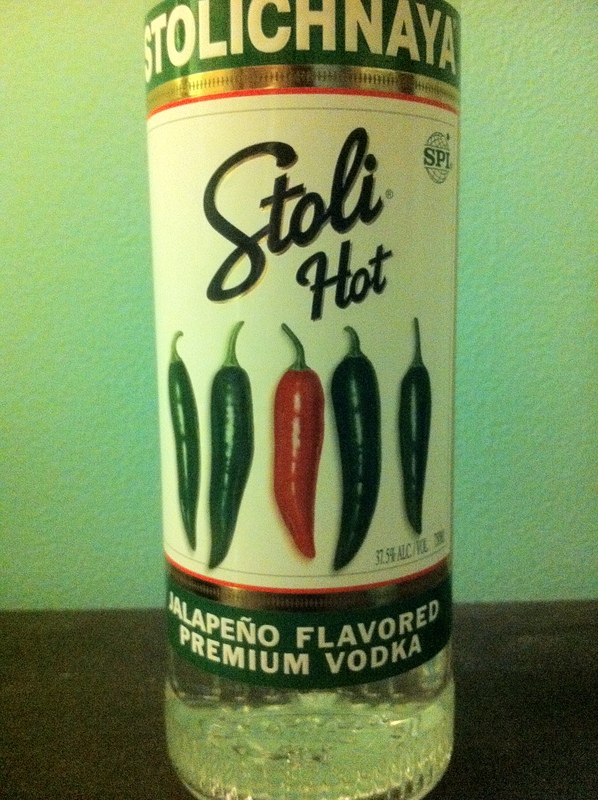 Stoli Hot is a jalapeño-flavored vodka that seems to be attempting to do just that. As far as I can tell it is one of only a few non-sweet flavored vodkas out there and the only one with a significant heat. Stolichnaya is a Russian vodka that has been around since 1948. It is a wheat vodka and has a nice mouth feel with a slightly sweet taste and I think this actually makes the jalapeño flavor work even better. The level of heat is a good one. It is a heat that is present but won’t be overpowering to most people. I found it far less hot than actual jalapeño and it quickly cools when mixed with something else. If you can take a little tabasco sauce this won’t be challenging at all. The flavor is basically jalapeño but with a sweet finish. It has Stoli’s thicker mouth feel and is very smooth. The burn comes from the pepper, not the alcohol. I found that a bloody mary works really well with Stoli Hot. 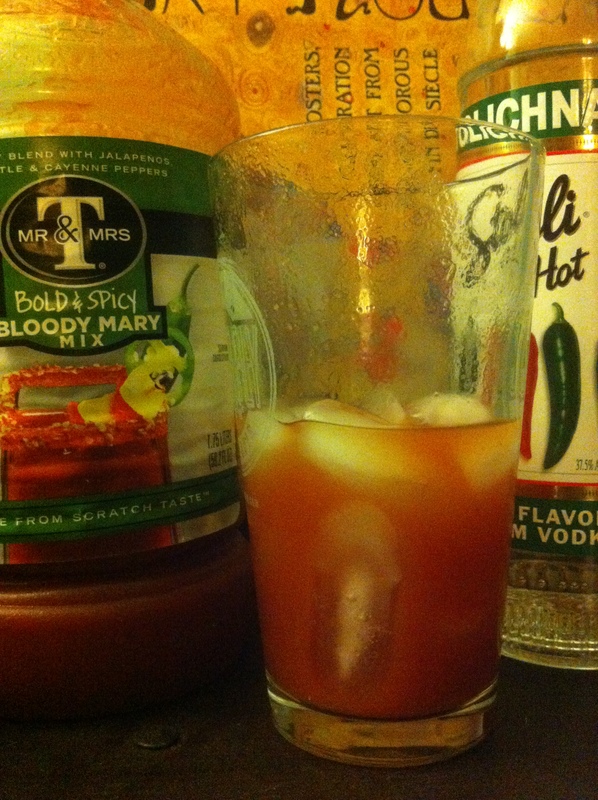 For the show we used Mr. and Mrs. T’s Hot Bloody Mary mix and the added Stoli Hot gave it quite a kick. If you like extra heat with your bloody mary this is a great choice for you. In mixed drinks and cocktails a lot of the flavors that work well with jalapeño will work well here. Fruity drinks work better than I would have thought. I made a “Stoli Red” which is just the Stoli Hot mixed with cranberry juice and it was pretty nice. I think pineapple and lime would be particularly nice. 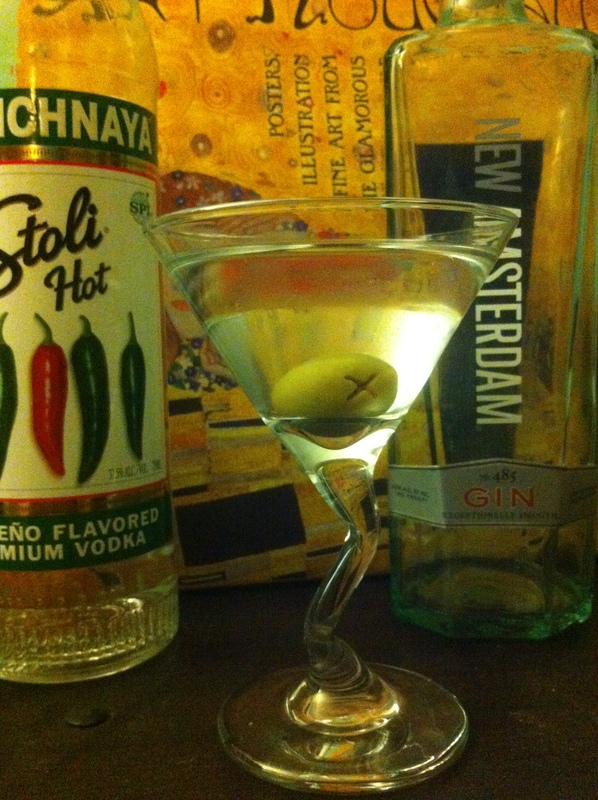 I made a jalapeño martini by just using gin and the Stoli Hot in a 2:1 ratio and it was actually too bland. A dash of bitters helped but I would recommend mixing it at a higher proportion of Stoli and maybe not leaving out the vermouth. I’ve also though that using it in a chocolate drink might be nice. Sort of an Aztec-chocolate flavored drink. I will have to work on that and get back to you. Overall, I think that this is a good bottle to have in your mixing toolkit. Jalapeño is a great flavor to add to a drink and it has not been over done. Just about every hot shot or cocktail uses a cinnamon-base like Hot Damn or Fireball Whiskey. Bringing the heat without the sweet is a good way to make your cocktail stand out. You can listen as I try Stoli Hot and see the cocktails I made with it in Episode 9 of Bottoms Up. In case you are wondering, I’ve been playing around with a variety of spirits lately because I am working on making some custom cocktails for Hellapalooza, an ungodly combination of rock n’ roll, burlesque, freakshows, and drinking that is coming to The Southgate House Revival on May 11th. Tonic Tours will have a booth set up so come to the show and say hello. Attention all brewers please take note: April is not summer, it is spring. March (when I first spotted this beer as well as Bell’s Oberon) is also not summer, May is kinda summer, June is officially summer. Summer ales belong in summer… However it was over 70 degrees yesterday, and I spent all day doing yard work followed by beer & grilling out… So it’s close enough to summer. 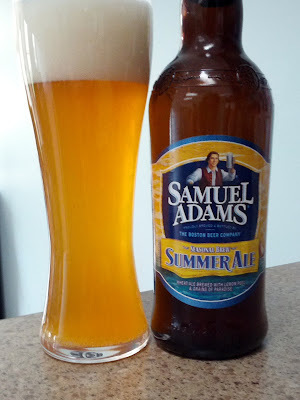 There was a time a few years back when Sam Adam’s Summer Ale was pretty much the only beer I’d drink whenever it was available. I enjoyed a few craft beers but had no “true” idea of what was out there. Like I said that was a few years back, last year I only had one of these and it was at a bar where the other options were less than “optimal”. To me that sounds like a bunch of PR hype. “Grains of Paradise” and “a rare pepper from Africa” seriously?? A very attractive wheat beer with a nice cloudy orange/yellow color and pure white head. Smells of lemon and a bit of grass… really not the most appetizing aroma. 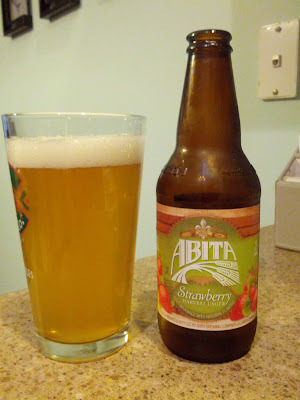 Decent, though very light, flavor of mostly lemon mixed with the sweet wheat and some orange-citrus hops. Nothing to get excited about but also nothing to complain about. And there is an intangible taste that just “feels” like “summer”… though this may be part of my memory of this beer more than anything else. Very light bodied mouth feel with plenty of carbonation. As I said initially before I truly knew of the world of craft beer I loved this beer and it was “summer” to me. Now I know a good deal better, that doesn’t make it a bad beer it just puts this into perspective a bit. I still enjoy this in warm weather but there are superior summer wheat beers out there like Bell’s Oberon. Though I have come to prefer a nice sessionable IPA or a high quality Helles lager (by Rivertown) over one of these wheat beers… But that’s just me. Pours a super cloudy dirty gold, like something a miner would pull out of a creek in California. Topped off with loads of fluffy white head full of big bubbles. The head is slowly rolling down as the beer continues to roll up. Very powerful aroma of grapefruit, lemon, and some peach action. What a great taste, there is a tiny bit of hop bitterness that kinda reminds of Aspirin, which Google tells me comes from the Amarillo hops they used. There is minimal malt presence though, but it actually results in a pretty balanced beer. There is plenty of the wheat zing present here but it isn’t overly sharp like in many wheat beers. It’s got a super light bodied mouth feel with some slight carbonation. This is a great sessionable wheat beer (I’d say summer seasonal, but they make it year round). I’m not too crazy about wheat beers overall but I like to have a few of these each summer. Initially I thought that at 5.5% ABV this was gonna be a little to weak to make me happy but it’s a solid strength, especially if you wanted to session this during a hot summer afternoon. Oh… and this doesn’t remind me of gum, or gumballs, at all. Slightly disappointed there but according to their site it’s named for some cat from some comic I’ve never heard of, which also explains the cat on the logo. 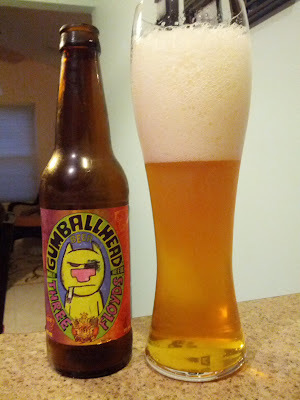 That all is my bad for not knowing more initially about this beer, but I assumed (and I imagine others have and will assume) that this beer somehow tastes like gumballs. 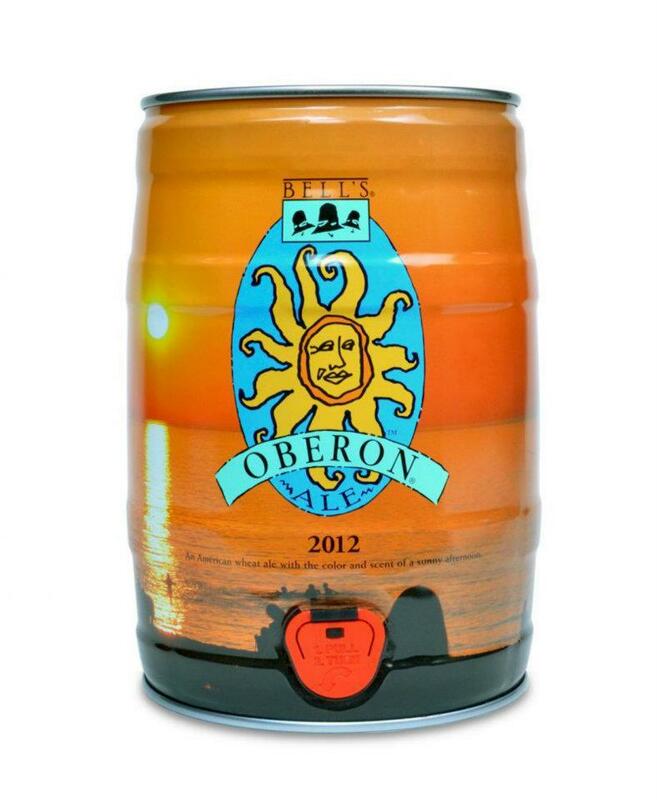 Beer math: Is a 5L mini keg of Bell’s Oberon a good deal? With the announcement of Bell’s Oberon 5L mini keg hitting shelves in the Cincinnati-area just in time for the long holiday weekend, the question that must be asked (or maybe not, but I’m going to ask it anyways) is whether or not buying one is cheaper than buying a few six-packs of the same beer. To figure this out, I’ve done the math for you. Author Tom AgueroPosted on May 24, 2012 Categories Beer, InformationalTags 5L keg vs. six-pack, beer, beer math, bell's, Bell's Oberon mini keg, math, mini keg, mini keg vs 6 pack, Oberon, price, Wheat, Wheat Beer2 Comments on Beer math: Is a 5L mini keg of Bell’s Oberon a good deal?